Manchester United have been linked with a move for a number of centre-backs ahead of the summer transfer window. Victor Lindelof has failed to adapt to the Premier League following his big money move from Benfica last summer and has subsequently only made 12 starts in his debut season. Jose Mourinho doesn’t appear to want either Phil Jones or Chris Smalling as regular first-team players over the long term, leaving us with only Eric Bailly as a trusted option at centre-back. 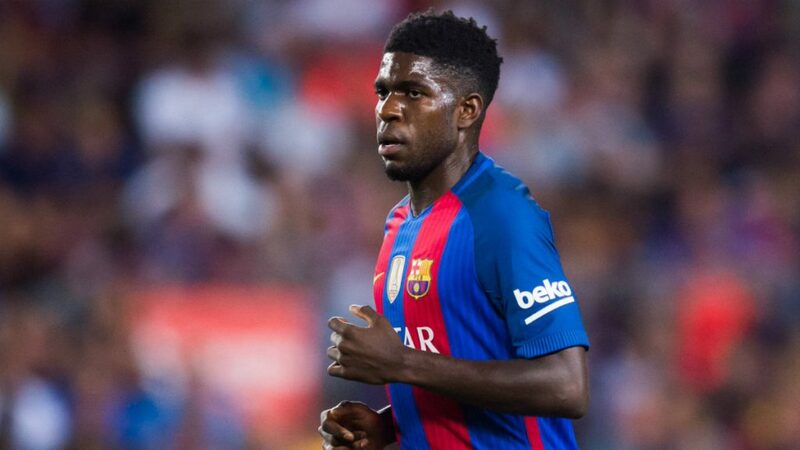 One defender we have been strongly linked with over the past couple of months is Barcelona’s Samuel Umtiti. The French international is currently in his second season at Camp Nou where he is a regular in Ernesto Valverde’s 2017-18 La Liga champions. Umtiti has put in some excellent displays this season, hence why Mourinho would like to bring him to Old Trafford. Reports over the past few months have suggested that the 24-year-old will not sign a new contract with the Spanish giants amid interest from Manchester United and the promise of a significant wage rise. However, the Sun are now reporting that Barcelona are ‘desperate’ to tie Samuel Umtiti down to a new contract in the coming weeks, which includes increasing his £52 million buy-out clause. Currently, the Catalan club would have to accept a bid of £52 million from any club and let the player discuss a potential move. Whether Jose Mourinho and the Manchester United hierarchy will be in touch with Umtiti before Barcelona sign him to a new contract remains to be seen, but there’s no doubt he’d be a huge upgrade at centre-back if we were able to land him this summer.